Philippines President Rodrigo Duterte says he has asked the US ambassador why Washington did not send warships to stop China from building artificial islands in the South China Sea, where both Beijing and Manila lay claim to disputed territories. "Had America really wanted to avoid trouble, early on... why did you not send the armada of the [Japan-based] 7th Fleet which is stationed there in the Pacific, you just make a U-turn and go there and tell them right on their face, stop it?" Duterte said during Wednesday's speech. He said he had posed the question to US ambassador Sung Kim during a Monday meeting in southern Davao city, AP reported. He told Kim he was surprised by what he called US inaction when newspapers began publishing photos of China's construction of runways and other structures on the newly built islands. In response, Kim, who arrived in Manila last year, said he was assigned elsewhere at the time and therefore could not provide an answer, according to Duterte. 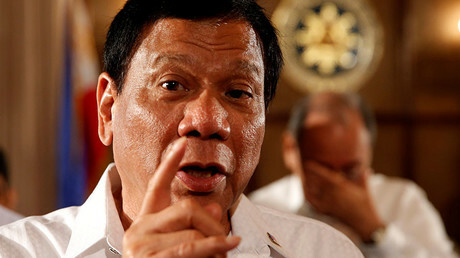 The Philippines president went on to state that he will not go to war against China's superior military which would do more harm to the Philippines. "The first thing that will be blasted away from this planet Earth will be Palawan," Duterte said, referring to the western Philippine island province facing the disputed South China Sea. "All of the deposits of armaments of the Americans, including ours, are there." He did, however, state that he would invoke an international arbitration ruling which rejected China's claim that it has historic rights to most of the South China Sea. 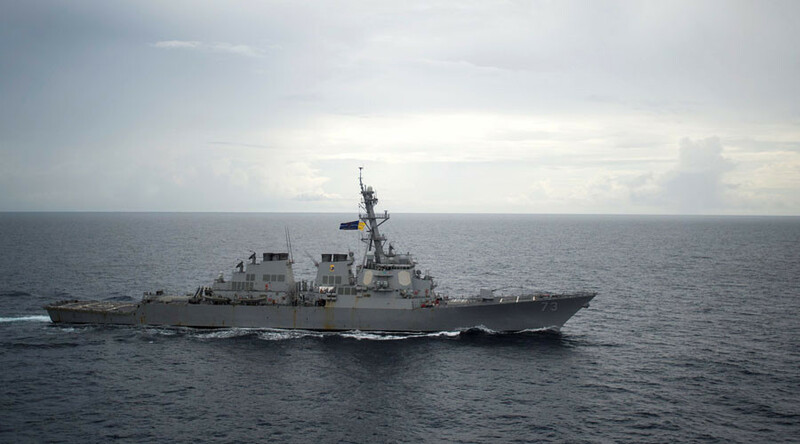 It also ruled that Beijing has caused irreparable harm to the ecosystem of the disputed Spratly Islands and breached the Philippines' sovereign rights. Both China and the Philippines lay claim to the Scarborough Shoal and the disputed Spratly Islands. The Spratlys are also claimed by Vietnam, Taiwan, Malaysia, and Brunei. China has built numerous artificial islands across the Spratly chain, each complete with runways, aircraft hangars, radar sites and hardened surface-to-air missile shelters, according to photos recently analyzed by the Washington-based Center for Strategic and International Studies (CSIS). His remarks came as Philippines officials announced on Wednesday that the two sides have agreed to hold bilateral consultations on the disputes, with China offering to host the initial meeting in May. Duterte's statements marked the second time in less than a week that the leader blamed US inactivity for tensions in the South China Sea. 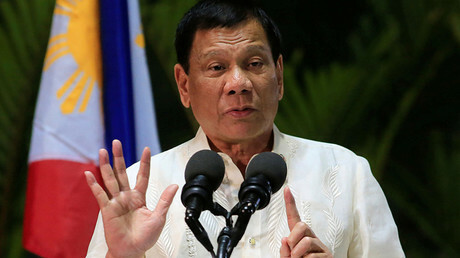 “You could have cut the problem in the bud had you taken a decisive action,” Duterte said last week, in an apparent address aimed at US President Barack Obama and his administration. For its part, China remains adamant on its territorial claims, despite the upcoming talks with Manila. The country's foreign ministry said on Tuesday that Beijing has every right to built military facilities in the Spratlys, claiming the island chain is part of Chinese territory.